Photo credits to John Mitchell and Jonathan Davis. 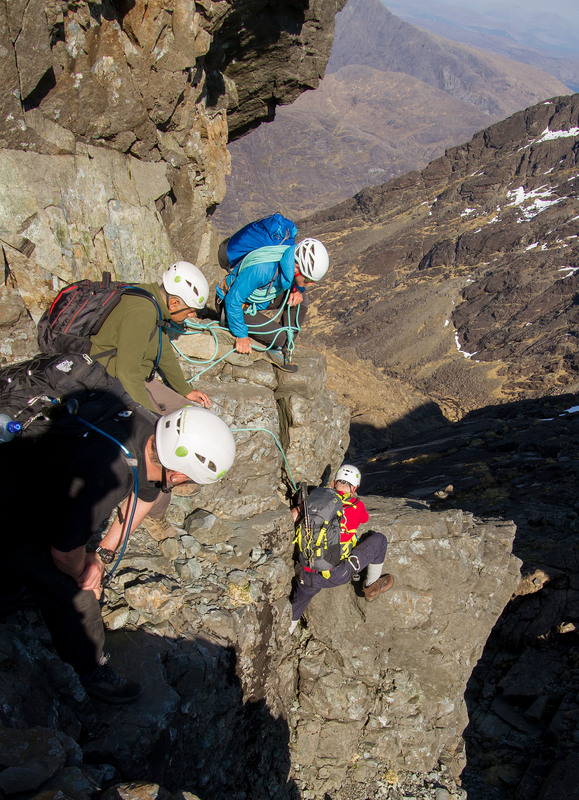 Part of a group of four I was guiding on the Skye Cuillin Ridge this spring. A couple of months ago I was lucky enough to be sent the new and updated Blue Ice Warthog to test. I’ve used it extensively over the past couple of months for Scottish winter climbing and many days on Skye’s Cuillin Ridge. I think Blue Ice have done an excellent job and improved on the older (green) version by introducing one or two new features. Being a total lightweight freak let’s start with the scales. Blue Ice state 860g for the 28l version of the Warthog; my scales read 890g, but given the accuracy difference in digital scales it’s pretty dam close. 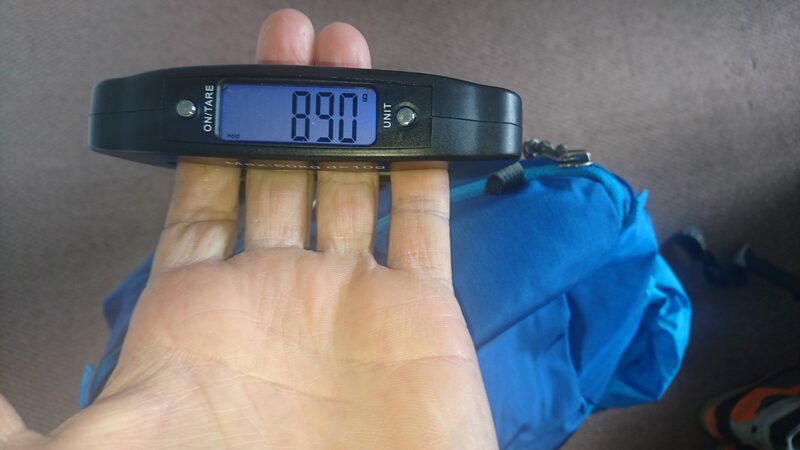 For such a simple and relatively small pack the weight derives from the materials Blue Ice has used. A sturdy 420 Denier CORDURA® fabric makes up the majority of the pack where as intense use areas are made of an even thicker fabric called Ballistic CORDURA®. This weave of fabric was originally designed for military body armour, it’s tough stuff and can be expected to last a very long time even after being dragged through some of the roughest rocks I can find. I mentioned the pack being simple; it’s definitely one of its strong points. Being extremely streamline and devoid of compression straps and too many external pockets the pack sits on your back without really noticing it’s there. 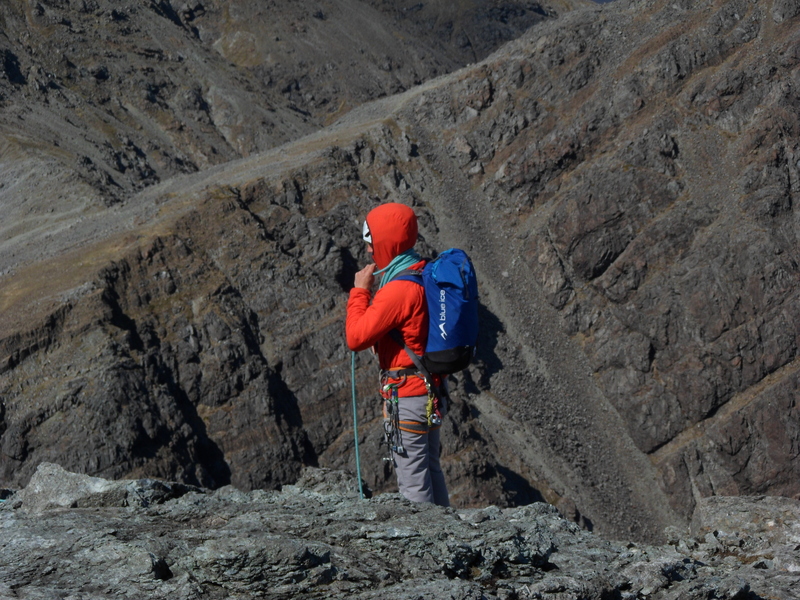 This has made scrambling around the Cuillin Ridge with the Blue Ice Warthog easy and unobtrusive. 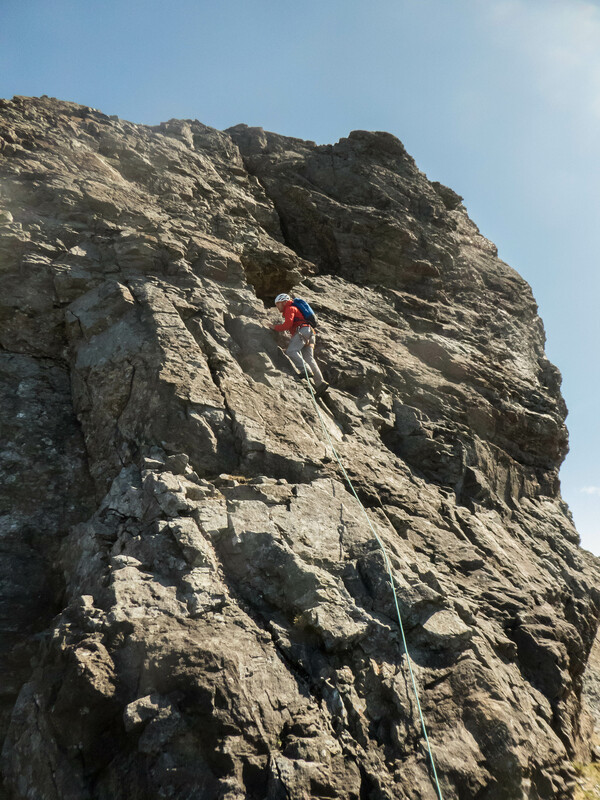 There are lots of chimneys, nooks and crannies that a wider pack would get obstructed in, and being so tough I didn’t have to worry about tearing it on the rough Gabbro rock. The same goes for winter when carrying lots of sharp items and scrapping around icey chimneys there has been little damage to this pack. Another feature new to the 2016 Warthog is what Blue Ice call a ‘skirt opening system’. This is effectively a reinforced panel built into the opening of the pack. 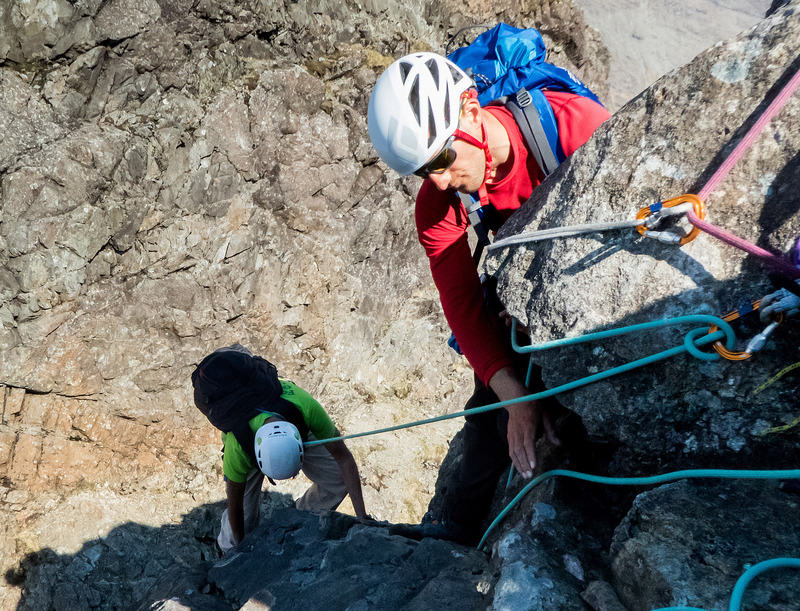 This small change means whilst climbing and your equipment is being worn, the lid of the half empty pack can be firmly secured inside the pack itself instead of using the strap down point. It’s a minor thing as most pack lids can be stored in this fashion. But it’s a nice touch and a sign Blue Ice have really put some thought into the redesign rather than just producing a blue version of their much loved pack. 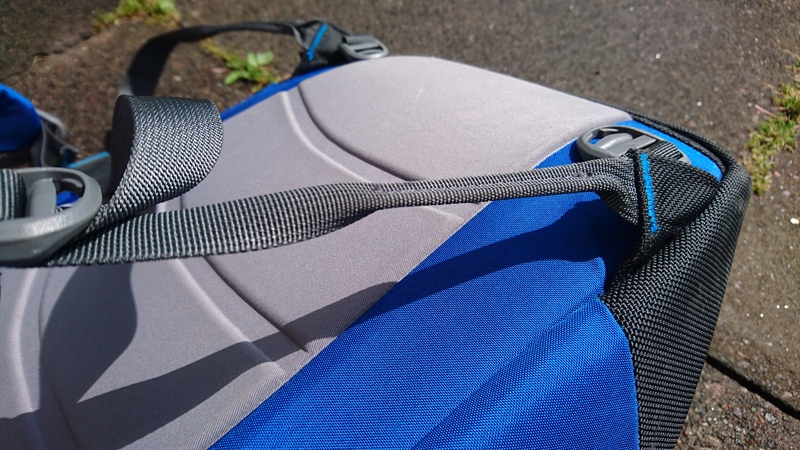 Another nice touch is the folded shoulder straps which allow them to be utilised as gear loops without the extra weight and bulk of including them in the hipbelt. Speaking of the hipbelt, it’s possibly the one drawback, in that personally I would like just a tiny bit of padding on the hips. 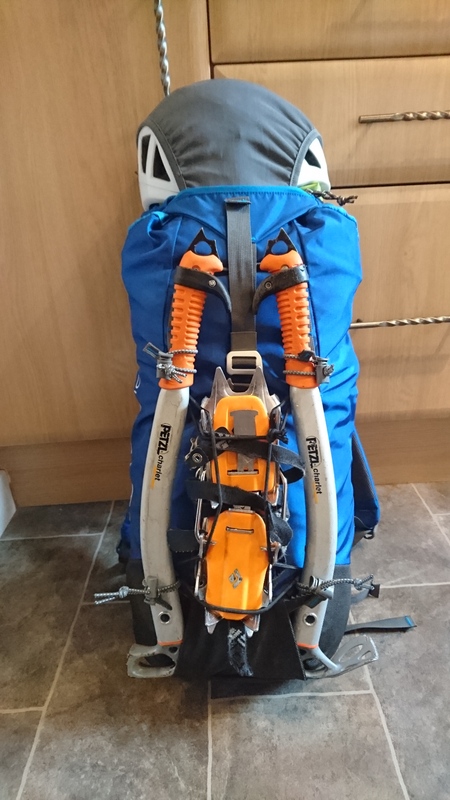 Given that this pack can be used for Scottish Winter Climbing where heavy loads are expected, I feel the inclusion of a little padding would be beneficial to aid with comfort. I also found the hipbelt to sit a little too high for me and so removed it which can be done very easily. Other features include a thermoformed back panel which is quite stiff but won’t absorb water. 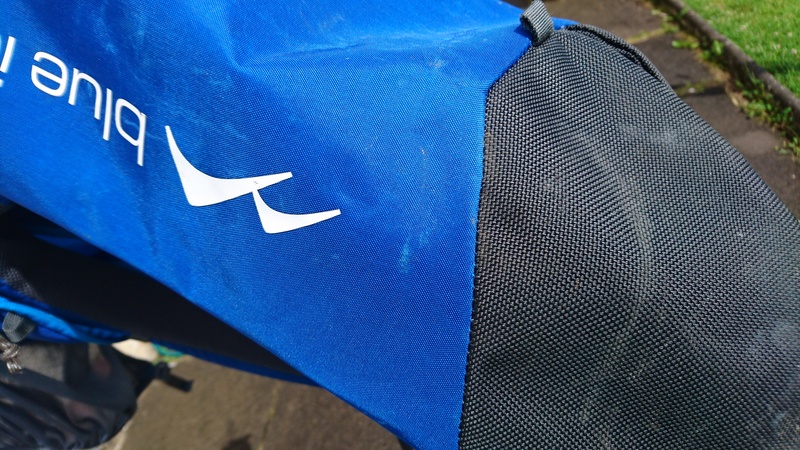 An aluminium lid cosure hook for durability, front and rear haul loops, rope holder under the lid, an internal and external pocket and hydration bladder pocket. This pack is going to be another firm favourite with scramblers, Alpinists, Scottish winter climbers, instructors and guides who require a simple, bombproof and adaptable pack.